Fort Myers, Florida – September 13, 2018 — The Florida motorcycle community is growing and owners of Rockstar Harley-Davidson and Naples Harley-Davidson, the Veracka family and their teams have been focused on delivering the best rider experience possible. To accomplish this, the decision was made to consolidate Naples Harley-Davidson into the 53,000 sq ft, state of the art facility at Rockstar Harley-Davidson in Fort Myers. Combining the stores will allow Rockstar Harley-Davidson to provide SW Florida customers with the largest selection of new and pre-owned Harley-Davidson motorcycles, parts, accessories and apparel as well as access to industry best Harley-Davidson specialists and service technicians. 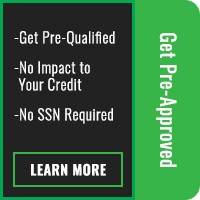 This will allow for bigger and better bike nights, rides and the best charity events in the southeastern United States all under one rooftop. Since taking ownership in January 2018, southwest Florida has seen more Harley events than ever before! The timing is optimal and will allow the employees and inventory to transfer from Naples into the superstore, Rockstar Harley-Davidson, right as the riding season ramps up. Saturday, September 29, 2018 will be Naples Harley-Davidson’s last day of operation at 3645 Gateway Ln., Naples, FL. 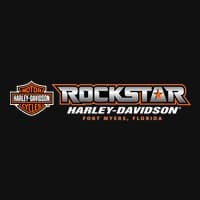 You’ll still be able to see the shining faces of the Naples Harley team 7 days-a-week at Rockstar Harley-Davidson, 9501 Thunder Rd., Fort Myers, FL, just 25 minutes north to exit 131 off I-75. All September events scheduled at Naples Harley-Davidson will continue as well as the 11th Annual Fly Your Bra Ride on Saturday, October 6, 2018. This benefit ride will begin at Naples Harley-Davidson and finish at Rockstar Harley-Davidson with live music, food and more! Thank you to the Naples community for your support over the years and look forward to Rockstar Harley-Davidson continuing to offer best in class service for SW Florida, as well as being the destination location for visitors from across the globe! The Veracka family’s group of Harley-Davidson stores, known as The Motorcycle Company, consists of Rawhide Harley-Davidson, Olathe, Kansas, High Octane Harley-Davidson, Billerica, Massachusetts, Avalanche Harley-Davidson, Golden, Colorado, Riverside Harley-Davidson, Riverside, California, Huntington Beach Harley-Davidson, Westminster, California, Palm Beach Harley-Davidson, West Palm Beach, Florida, Rockstar Harley-Davidson, Fort Myers, Florida and Motown Harley-Davidson, Taylor, Michigan.